Google Plus’ stringent real-names-only policy appears to be hurting the new social networking site’s popularity among activists worldwide. Will Google ever change their approach? 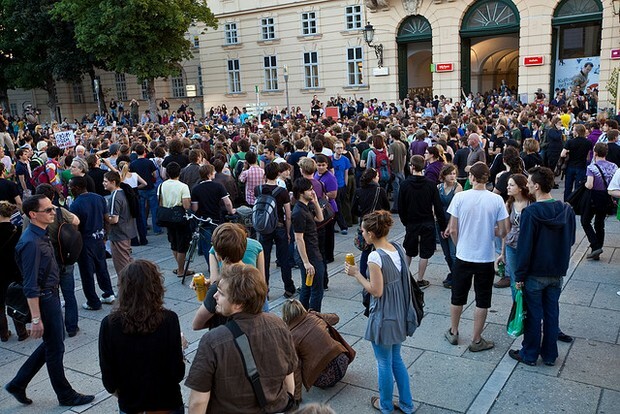 Social networking sites are intertwined with revolutions and unrest these days. Protests organized by Facebook played a key part in bringing down the Egyptian government. Protesters in Egypt’s Takhrir Square used the microblogging service to organize community services at their rallies and to stay in touch with sympathetic outsiders, there. Syrian rebels are using YouTube to disseminate atrocity footage to the outside world. In London, rioters are organizing via BlackBerry messages. Why not Google+ then? Several structural issues, some intended and others probably not, have so far kept activists and protesters from embracing Google’s new, fast-growing social network. That’s despite the facts that: Egyptian Google executive and revolutionary Wael Ghonim has a presence on Google+; and tech activists worldwide have been clamoring for a decent alternative to Facebook, whose habit of changing privacy and security features, terms, and conditions rankles hackers and the EFF. When it comes to starting and keeping a revolution going in the right direction, Google’s (usually) unambiguous real-names-only policy for Google+ gets in the way. Google might even be breaking its own Google+ policy, but we’ll get to that in a minute. Google+ requires users to use their real names. Accounts using pseudonyms have been deleted and organizations (including Fast Company) have no framework with which to create Google+ accounts in their name. Social media ethnographer Danah Boyd of Microsoft Research New England has made a compelling case that Google’s requirement is an abuse of power. According to Boyd, activists, abuse survivors, women, young people, and LGBT people are effectively victimized by real-names-only policies for social networking. It is not hard to imagine a situation where, say, the victim of stalking, a homosexual in a small town, or an activist in a repressive country might feel marginalized by Google+’s real-names-only rules. Disappointing privacy policies are part and parcel of online culture. Free social networking sites such as Facebook and YouTube stay in business by profiting off the personal information of their non-paying users; it’s a devil’s bargain that sustains the web these days. But these policies also harm activists in repressive regimes. Google+’s embrace of data liberation–the ability to share data used on the social networking site with other services–is another factor which may encourage activists to use the social networking site. Maybe there is hope for activists who want to use pseudonyms on Google+, though. As of August 8, a profile appeared on Google+ that looks like it may have come from Google itself, and appears to break the company’s own Google+ pseudonymous users policy. 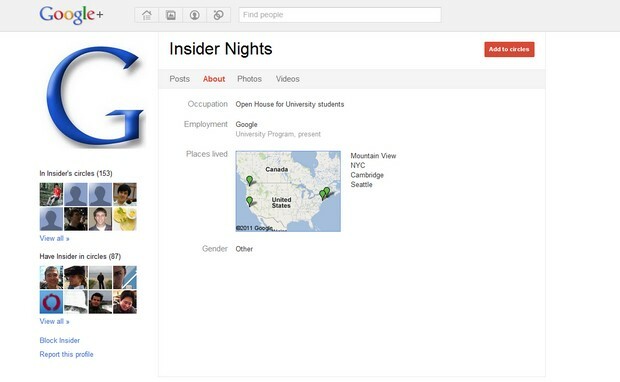 With this profile, it appears that Google is using a pseudonym to recruit college interns to a series of open house events in the Bay Area. Whether this signals a turn of policy at Google+ is also unknown; as of press time, Google had not replied to Fast Company‘s queries. Update: A Google spokesperson informed Fast Company that the most current edition of their Google+ policies are available here. No official comment was given on the pseudonym-using Google+ page shown below; the page was taken offline shortly after Fast Company’s article was posted. For more stories like this, follow @fastcompany on Twitter. Email Neal Ungerleider, the author of this article, here or find him on Twitter. Yes, he’s on Google+ also.